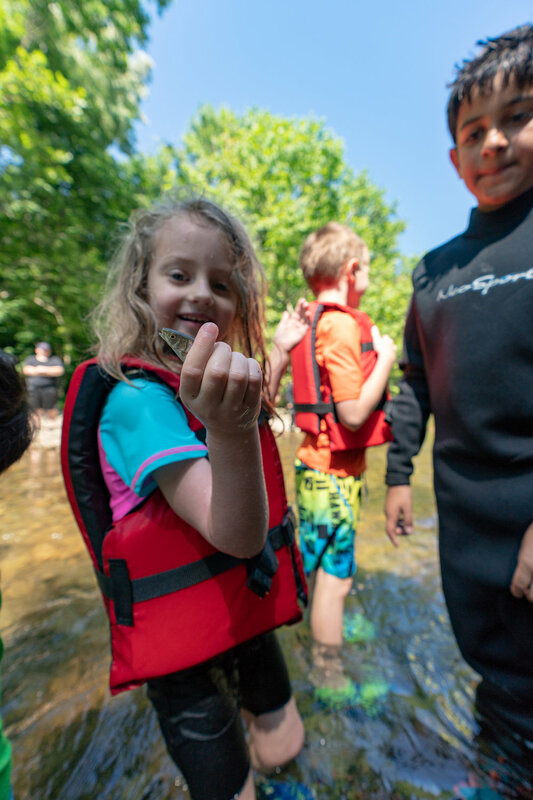 Stream School for Kids is an outdoor educational program that provides a fun introduction to stream science for kids and their parents. 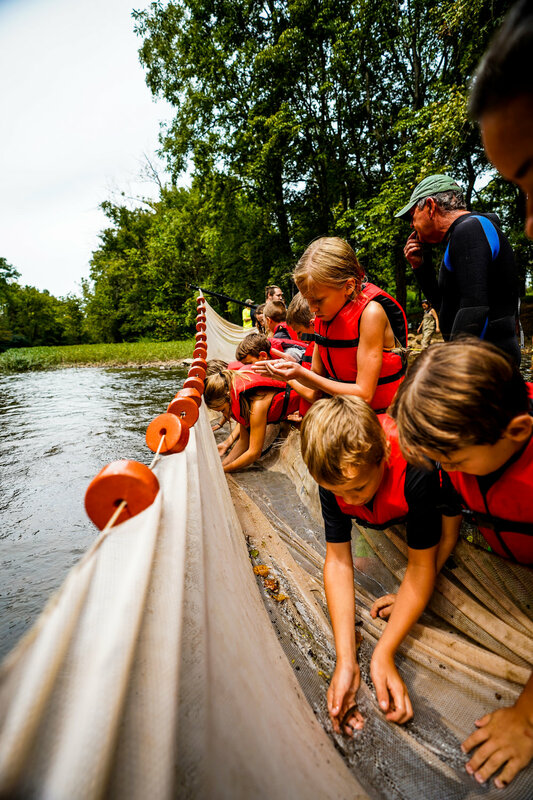 Geared towards students fourth grade and up, the program is based on STEM (Science, Technology, Engineering, and Math) concepts and incorporates environmental, chemical, and aquatic sciences. The event includes 5 main stations: Watershed Systems, Water Cycle, Fish Identification, Macroinvertebrates, and Water Chemistry/Water Quality. We begin the three-hour class by discussing Little River and its watershed: where does it originate; how many miles does it flow, why is it important? Next, we discuss river flow (why flow changes based on geography and weather, and why it is important) We also discuss what all is impacted by the watershed, the fish and the birds, insects and amphibians that rely on the river for a water source, and how we as humans impact and are effected by out water systems. Students also learn about the water cycle, and how water cycles from the land to the rivers and streams, and then back again. It is important for students to make the connection that water is in a constant cycle to understand that pollution in one area can then later affect another area. Once the students how that rate might change if the river wasn’t as wide, if the river was deeper, or if we just had a lot of rain. From this, students can understand that flow isn’t constant; it is a function of water volume and velocity, and it changes with weather, human interactions and topography, and it impacts water quality, organism habitat, sediment transport, and dissolved oxygen levels. From these different stations kids can begin to understand the importance of clean water in our watershed systems and what all organisms are affected by clean or polluted systems.